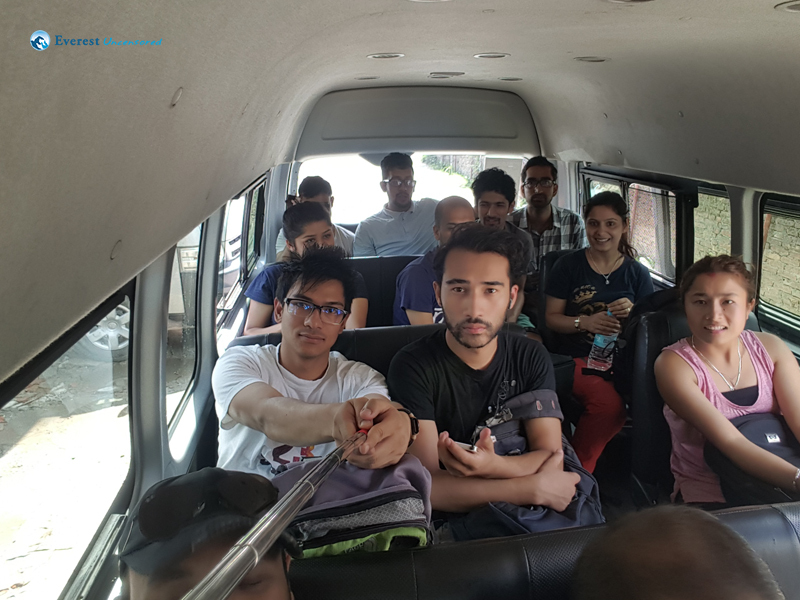 On August 13, 2016 we gathered at the office premises around 11 am and headed towards our destination. 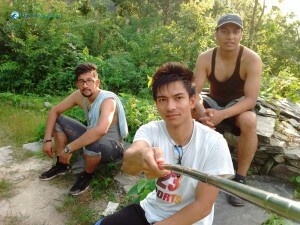 After taking a lot of photos and playing dumb shall act on the way, we reached Malekhu where we had our lunch. The real hike started when we reached Bimalnagar at 4 pm. 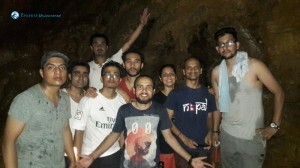 It took around 40 minutes to reach the must see destination Sidhha cave. 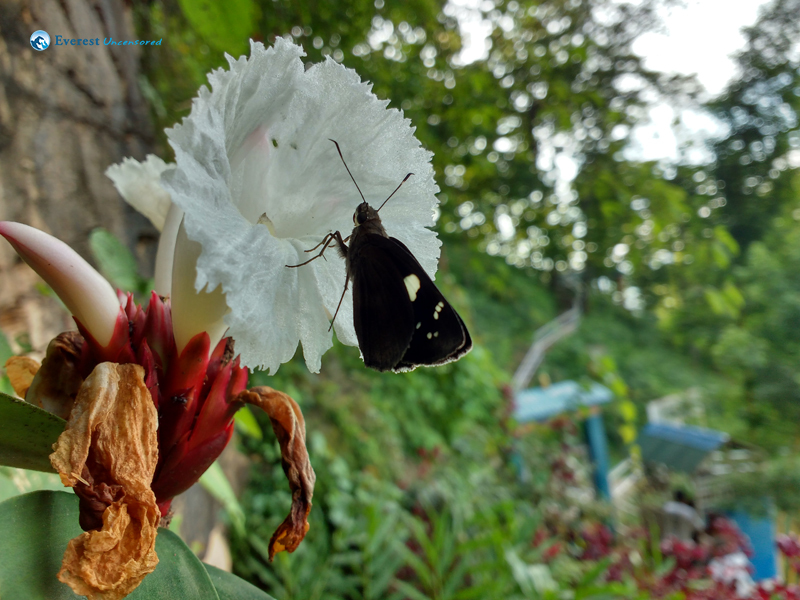 Rich in stalactites and stalagmites, it is said to be largest cave in the Himalayan region. 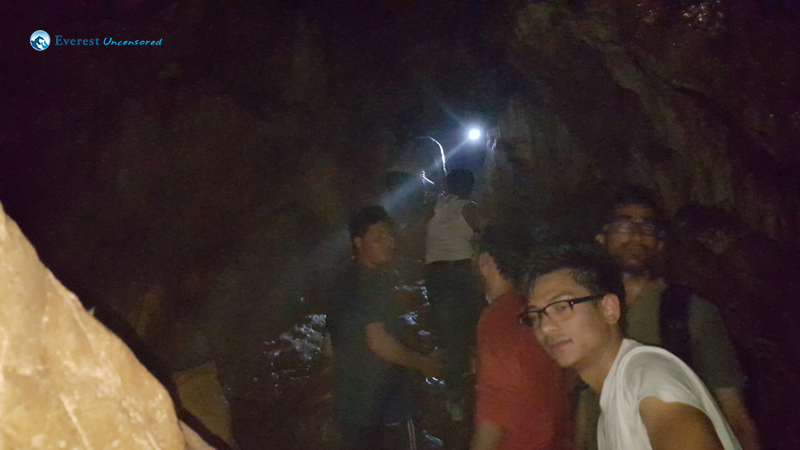 We roamed around and inside the cave for around 1 hour and we continued our hiking further. 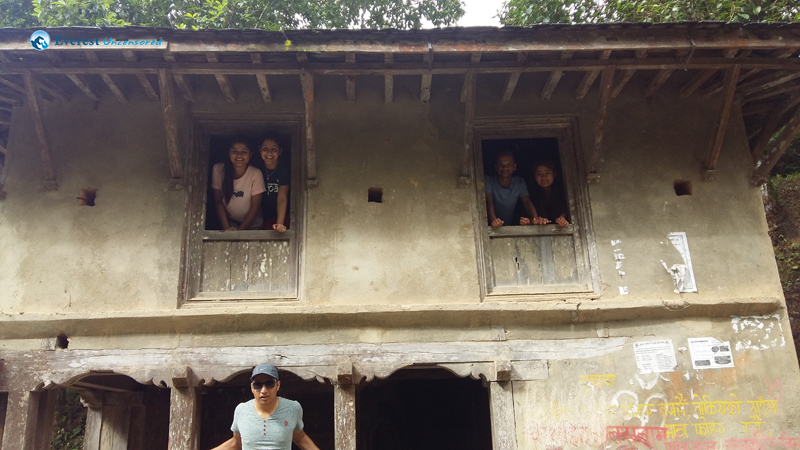 Finally, we reached our hotel at around 7 pm passing through the bandipur bajar watching beautiful sunset view and houses structured in traditional newari design. Because of the long walk we were very tired and hungry. It was getting very hard for us to even wait for the dinner but we did and the food they served was delicious and was worth the wait. Divided in groups, the next morning, we explored the beautiful city; Bandipur. 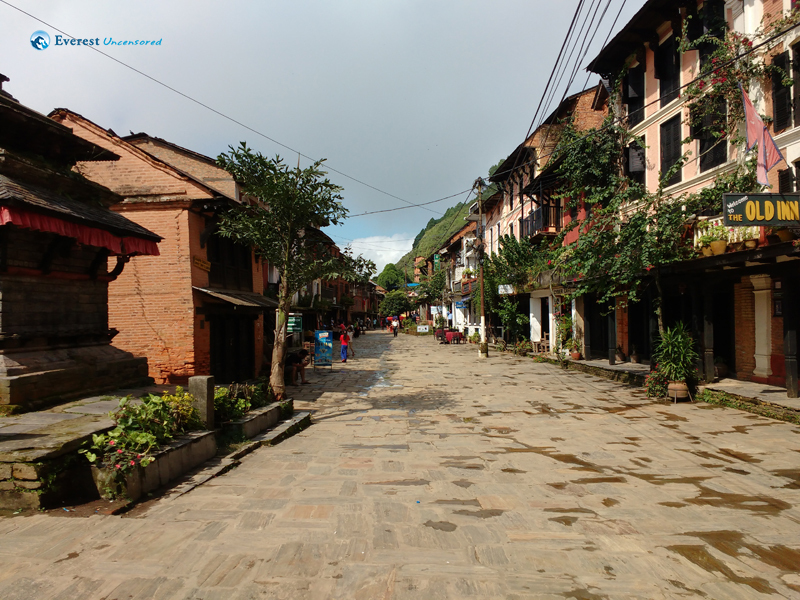 The heart of bandipur is the medieval-looking Bandipur Bazaar that sweeps in a gentle curve along the top of the hill in an east-west axis. The stone paved main street is lined with compact town houses with ornate windows and doorways and roofs of tin or slate. Teendhara, which lies to the east of main bajar whose name was derived from the original three water spouts which is still the main source of water for the villagers. The shrine dedicated to Lord Shiva lies nearby with rest houses and shady spouts scattered around making this a favorite place for picnickers. 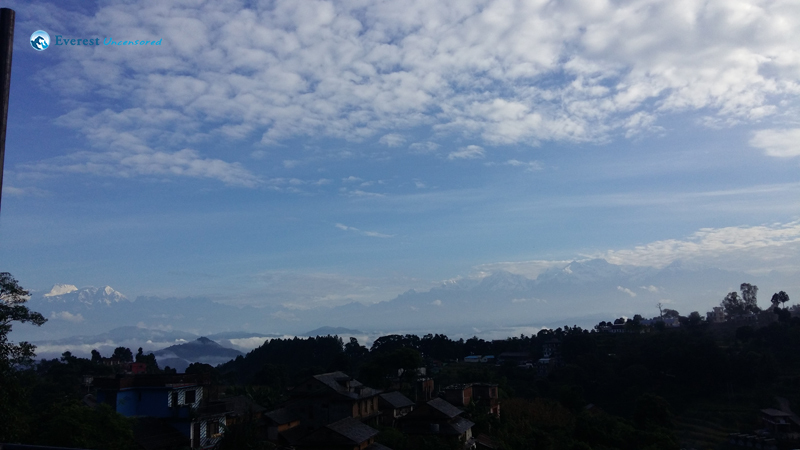 Another place was Tundikhel, a field to the northen end of Bandipur’s main Bazzar, is an excellent vantage point for viewing the Marsyangdi valley and the magnificent Himalayan Range in a single frame. And then it was time to return. 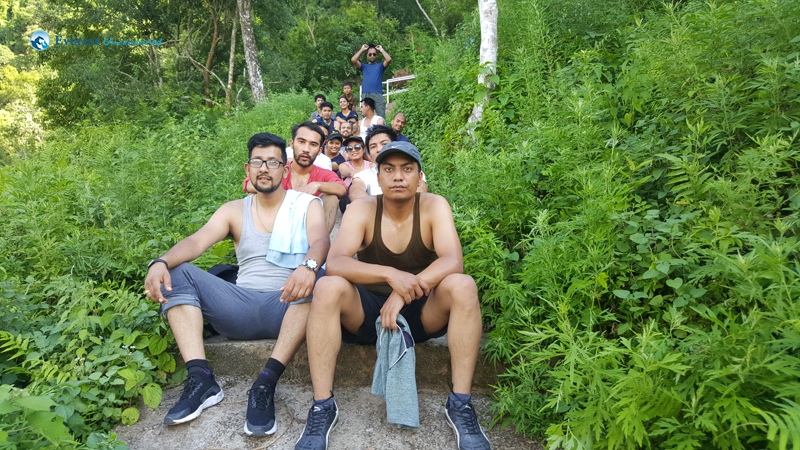 However, I was lucky enough to get the opportunity to have a great hiking experience with SQUAD- D.
Exploring new places is one of my hobbies. I always get enthusiastic when I get a chance to visit new place. As I came to know I was also the part of hiking from Bimalnagar to Bandipur, I became very excited. 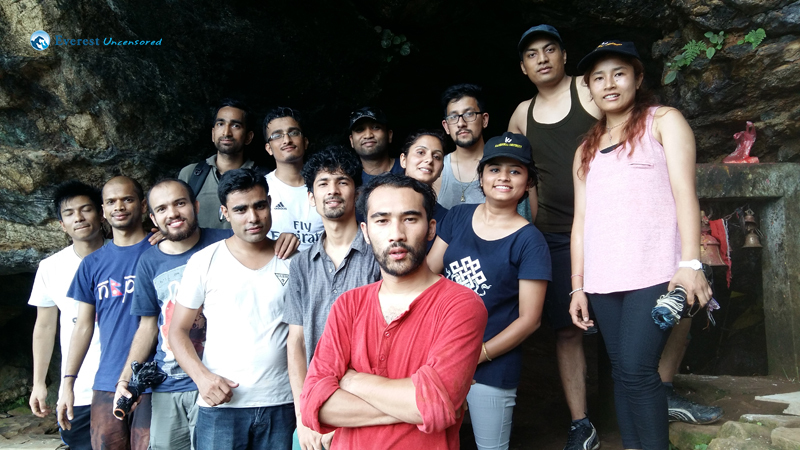 Though I had heard a lot about the beautiful place Bandipur, I had not got a chance to visit there so I was very grateful to Deerwalk Squad D for including me in this hike. As we were told that the vehicle would leave the office premises at around 9:45, but due to some reason it got delayed for an hour. Finally after an hour long wait we started our journey. We played mini militia, took lots of selfies and videos on the way. 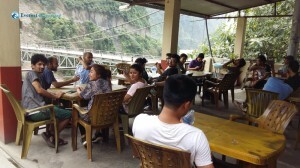 Then we had some break at Mugling with delicious fried fish and aaloo chop. After having those fries we headed forward to our destination. We played mini militia, took lots of selfies and videos on the way. Then we had some break at Mugling with delicious fried fish and aaloo chop. After having those fries we headed forward to our destination. 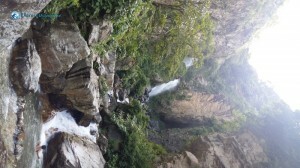 We were told that there is a beautiful waterfall on the way so were eagerly looking for that. When we saw that all of us were very excited. Some of us were busy taking photos while some were enjoying that cold refreshing water. 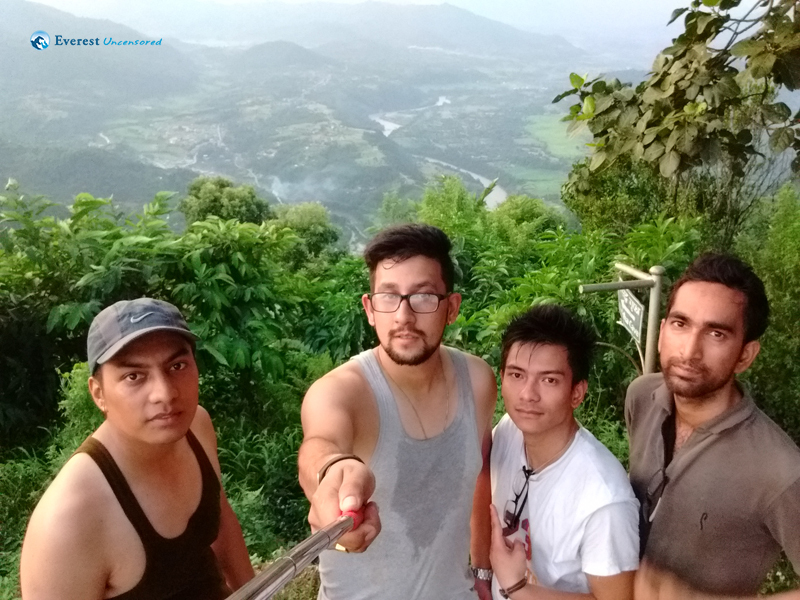 Right after that refreshing break we moved forward then we reached to Bimalnagar, the place from where we were about to start our hike. I am fond of adventures so I was feeling so energetic when we started our hiking from Bimalnagar. Walking thorough all those steeppath we arrived to the most beautiful and biggest cave of Nepal called Siddha gufa. 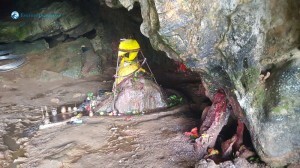 The cave has small entrance but is huge inside. 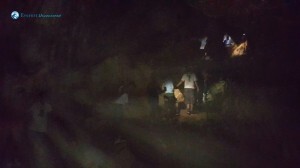 Two little local boys guided us to go through that cave. As it was so dark inside, we used torch and mobile flash light while exploring the cave. Inside the cave there was small pond and water there was ice cold and we could see different shapes of creatures on the wall of cave which we could hardly capture in our camera. 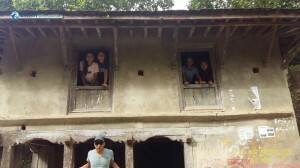 After visiting Siddha gufa we continued our hike again. It was sunny day but we were so thankful that there was no rainfall because we worried that we may have problem of leech. Everyone got tired and we were having shortage of water, however that excitement level was still high. 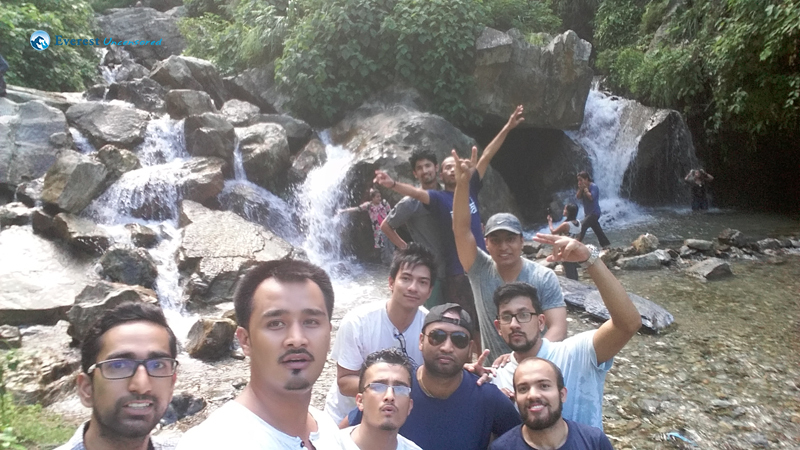 We were all walking together laughing, talking and ofcourse taking selfies. 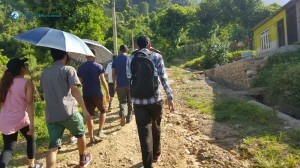 After walking for hours one of the hiker said that we are about to reach Bandipur. We had a sign of relief when we actually reached there. That beautiful scenario took all our tiredness down, took our breath away and we all enjoyed the moment. 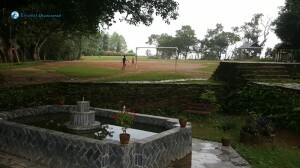 Then we checked in to Hotel Mountain View Retreat. 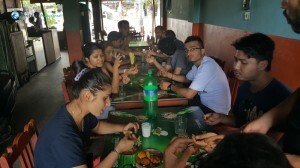 We had our dinner and took rest. 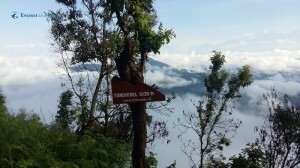 Next morning we could have enjoy the beautiful view from the top but due to foggy weather we missed it. 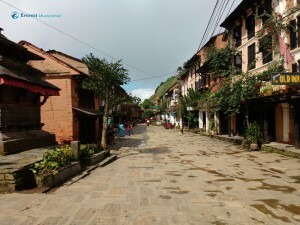 Bandipur is living museum of Newari culture. 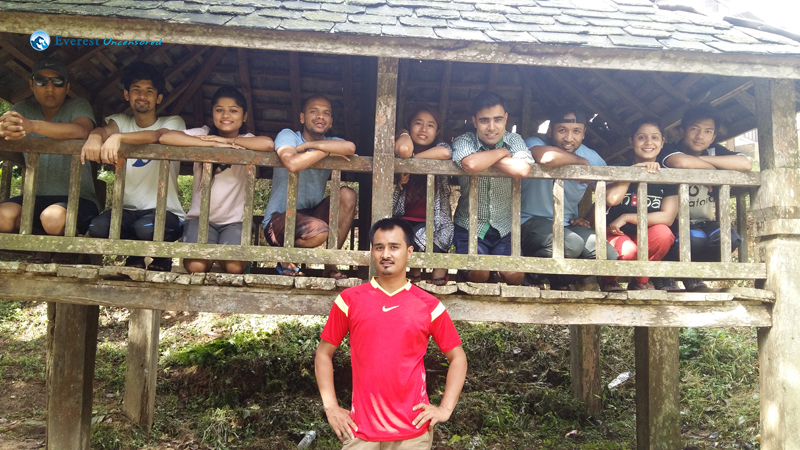 We roamed there and experienced the local Newari environment. 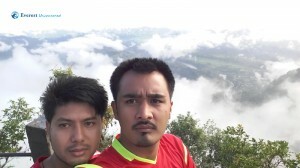 Even we took some beautiful pictures there. We had our breakfast in the hotel and we checked out from there at about 9:30 am. 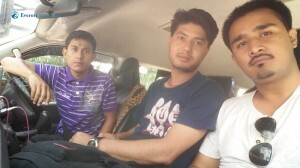 We headed back towards Kathmandu by Hiace. 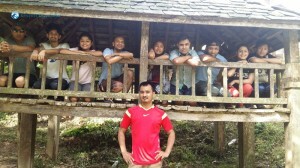 At last I would like to thank Deerwalk Squad D and all those hikers again for such a wonderful time. If you are fond of adventure and hiking then Bandipur is one of the amazingly beautiful place where you can go for. Whenever you go for a hike get prepared well and enjoy to the fullest.